After nine women successfully received womb transplants in Sweden last year, one of the women is now ready to give birth. Doctors have implanted an embryo into the donor womb and soon the world may witness the first baby born as a result of womb transplant. 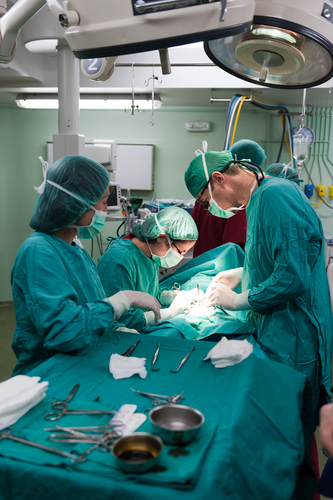 The set of nine womb transplant operations were carried out in Sweden between September 2012 and April 2013 on women who were born without a uterus or had to get it removed because of medical condition such as cancer. Last week the medical team was able to transfer an embryo in the donor womb of one of these recipient women whose identity has not been revealed. The embryo was grown from the women’s own egg that had been frozen. Therefore, a child born will carry the same genes as the mother’s. The woman suffers from MRKH syndrome, a congenital disorder which prevents the womb from developing, but means she still has intact ovaries which produce eggs. What is also incredible is the donor womb comes from the woman’s mother. Therefore when the child is born he or she will also be the first in the world to be born from the same womb as his mother! But even he says that it is impossible to predict the chances of success of this procedure. If the pregnancy outcome is the birth of a baby, the procedure will bring hope to a number of couples who are unable to have children of their own because of similar conditions. Of the nine women who have had the transplant, eight suffer from the MRKH syndrome and the ninth had her uterus removed because of cervical cancer. The Swedish team has also faced some controversies because of their choice of live donors for the womb. They believe that this reduces the chances of the body rejecting the womb and infections. The organ is also in better health. The donors have all been mothers or female relatives of the recipients. Other surgeons though are not entirely comfortable with the idea of live donors. Some say that using the womb of dead donors allows them to transplant extra tissue and the major blood vessels needed to take the strain of pregnancy. Richard Smith, head of Womb Transplant UK announced earlier this month that they were ready to transplant womb from dead donors to five women recipients. The charity is waiting at present to receive ethical clearance and raising the £500,000 required to cover the cost of surgery. He said that the Swedish procedure was a medical breakthrough and its success would only boost more such similar procedures around the world. The women who have undergone the transplant will have the womb removed after one or two pregnancies as according to Dr. Brannstorm they are all taking powerful immunosuppressant drugs currently to stop their body from rejecting the organ. The most critical question at present is how will their body react as the pregnancy progresses. Fertility expert Lord Winston believes the risks are too great and some women should accept that they cannot have children of their own. On the other hand other experts are of the view that the procedure is a way to fulfill the need for a child in women who yearn for their babies. The first womb transplant took place in Saudi Arabia in 2000 however it was not a success as the women’s body rejected the donated organ in four months. In Turkey doctors performed another such transplant on Derya Sert in 2011 but she lost her baby during pregnancy. Portland Baby Born in the Driveway!